Two and one-half minutes before midnight on March 12th of 1928, a catastrophic event marked the beginning of the end for a town that is no longer. Once referred to as the new mouth of the Owens river, Owensmouth was aptly named by H.G. Otis, the owner of the Los Angeles Times. 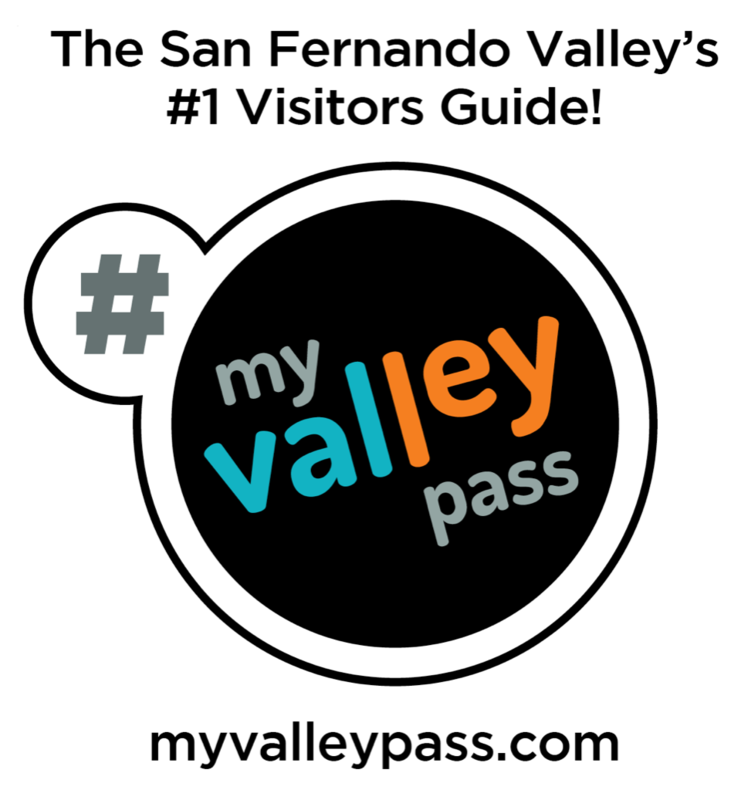 The city could be found at the western edge of the San Fernando Valley. 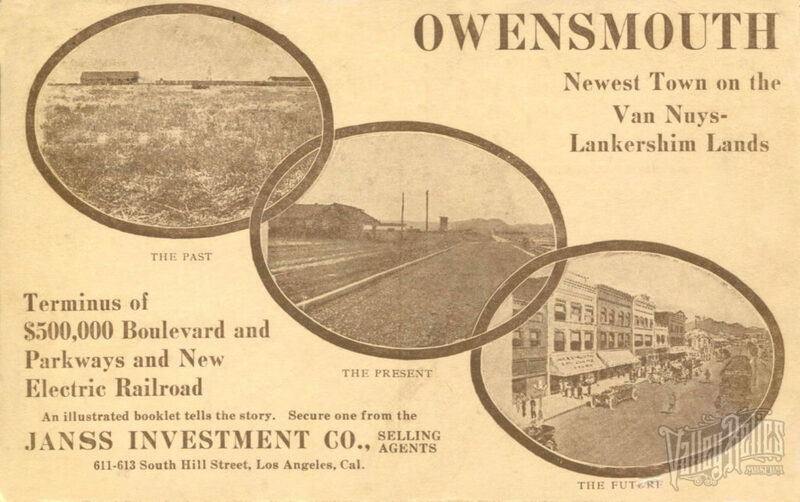 Founded in 1912, by the Janss Investment Company, Owensmouth was an agricultural community with well-planned access to the Pacific Electric streetcars and an all-purpose highway, by the name of Sherman Way. However, it would take more than farms to draw the potential buyers that the Janns company were in search of. The Owensmouth Road Race was staged. It was the first and only road race ever held in the San Fernando Valley. The race was a massive event. 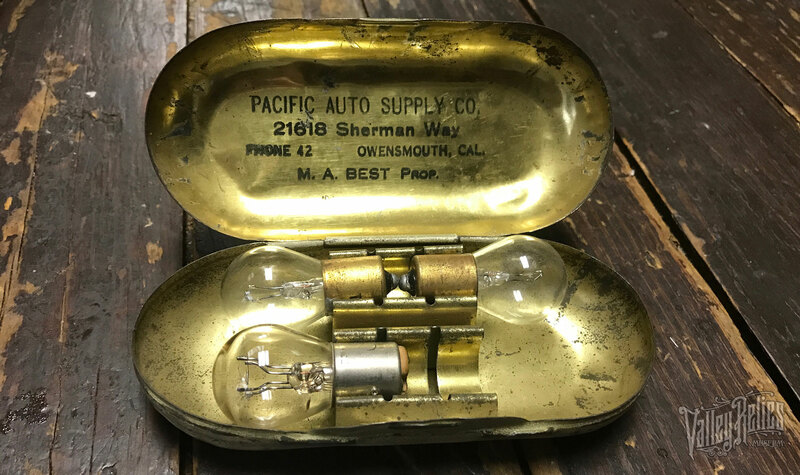 It was said to eclipse any event prior on the Pacific Coast. Countless entries were tallied and attendance was high, but Oldfield and “Terrible” Teddy Tetzlaff were the names that made the headlines. The tickets to the race, now a part of the Valley Relics collection, sparked my interest. Like many of our adventures, the research was done on the road, driving through the valley. The signs were all around me and I mean that quite literally. How many of us have driven down Vanowen without considering anything other than the number of red lights that we would no doubt be made to suffer? This street was the bridge between Van Nuys and Owensmouth, which spawned the name of the road “Van-Owen.” So, I find myself back at the beginning of this story. Two and one-half minutes from midnight. It is March 12th of 1928 and the river that named this town is about to serve as the force that undoes it. In the San Francisquito Canyon, Mulholland’s dam was about to give way. Just that morning, Mulholland had deemed that new leaks in the dam were no cause for concern. Hours later, twelve billion gallons of water surged down the canyon. Traveling upwards of 18 miles per hour and reaching nearly two miles across, the water raced all the way to the Pacific Ocean. The catastrophe destroyed so much and took the lives of so many. Just three years later, to part with the memory of this catastrophe, Owensmouth officially changed their name to Canoga Park. Today, the only remains of the St.Francis Dam are chunks of concrete and rusted handrails, but the history of the forgotten valley-town of Owensmouth still surrounds us.